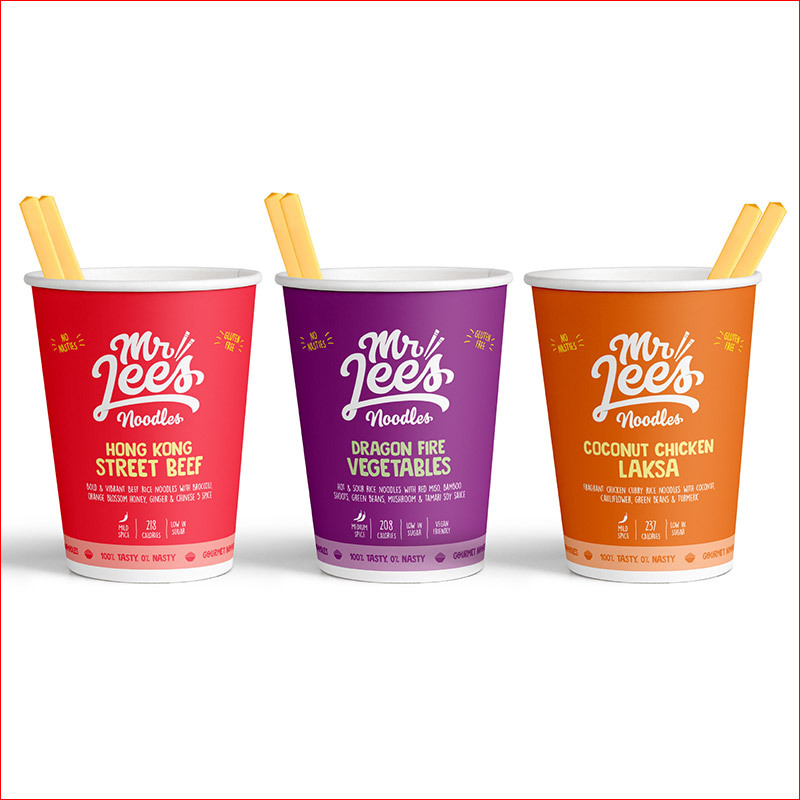 Portfolio began working with Mr Lee’s Noodles in 2015, whilst this exciting ‘No Nasties’ noodle product was still in the early stages of development. Our MD, Adrian, appreciated the ethos and values of Damien Lee and his mission to help time-poor people eat better food. Adrian could easily see how this exciting and quality cup noodle had great potential in the travel arena. Portfolio presented the product to a select number of our travel customers, trusted to give honest feedback and we quickly learned that that the pot size and associated price point would be a hurdle to their success in gaining an airline listing. The agile culture of the Mr Lee’s team meant that they reacted to the advice from Portfolio and a new, smaller pot was developed, and as a result we have now brought to market three flavours in the 62g travel size pot. Since 2017, Mr Lee’s Noodles have been showcased as a headline brand partner of Portfolio’s at the annual World Travel Catering Expo and recent success has seen a new listing of the Hong Kong Street Beef cup with TUI Group.